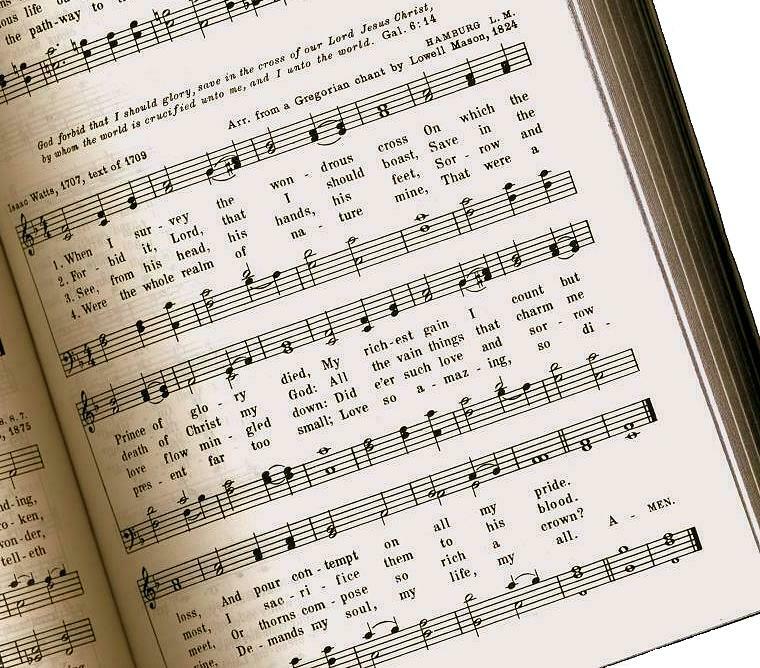 One Eternal Day: "The singing turned them into love"
"The singing turned them into love"
Hymns did not exactly take on new meaning; rather, I began to sense more clearly why the best had been so consistently moving since at least the early adult years of self-conscious faith. Regarded simply as texts, they could offer unusually evocative communications of strong theology. But the gripping force of the hymns lay in their affect and not simply in their words alone, in the more-than-rational conviction they communicated through the combination of careful writing and effective music. It could not have been a coincidence that in these years J. S. Bach became, as he has been for so many others, a kind of fifth evangelist. Sometime in this period I was also delighted to discover that Charles Hodge, the 19th-century lion of Princeton Seminary who has been so often criticized for writing theology as an exercise in scientific biblical rationalism, suggested on several occasions that hymns and devotional writings from the far reaches of the church could construct an entirely sufficient account of the Christian faith. A significant bonus in thinking about why the best hymns worked so powerfully at cognitive, emotional and spiritual levels lay in recognizing where these particularly gripping hymns came from. As basically a Calvinist myself, I nonetheless saw immediately that the best hymns came from many points on the Christian compass. Some were ancient (for example, Ambrose of Milan: "O splendor of God's glory bright, from light eternal bringing light"), some were contemporary (Margaret Clarkson: "He, who in creation's dawning brooded on the lifeless deep, still across our nature's darkness moves to wake our souls from sleep"). Some were heavy (Johann Herrmann: "Ah, holy Jesus, how hast thou offended . . . I it was denied thee: I crucified thee"), some were light (Fanny Crosby: "Jesus is merciful, Jesus will save"). They came from fellow Calvinists ("I greet thee who my sure Redeemer art"), but also from the winsome and zany Count von Zinzendorf ("Jesus, thy blood and righteousness"), from Mennonites, Disciples of Christ, Catholics, Pentecostals, independents, and especially from the implacably Arminian Charles Wesley ("Arise, my soul, arise, shake off thy guilty fears, the bleeding sacrifice in my behalf appears. . . . My name is written on his hands"). Such effective hymns went deep because they communicated the core dogmas of the Nicene Creed with unusual force. Concentration on those core dogmas made them singable by believers almost everywhere; the singing turned them into love. A further broadening effect of the great hymns took me longer to comprehend. With the help especially of Andrew Walls's account of how the once-incarnate Christ has been, as it were, incarnated afresh wherever Christianity enters a new culture, I came to see something else. While the dogmas of these hymns were universal, the music that played such a powerful part in quickening the dogma was particular. Isaac Watts's "When I survey the wondrous cross" remained fairly inert words on the page without the tune "Rockingham," by Edward Miller, or "Hamburg," by Lowell Mason. I might find singing this hymn with a rock-and-roll melody or accompanied by a five-toned Thai xylophone an intellectual curiosity, but it would not be heartfelt worship. "The Lord is at the center"
"A new bigotry with moral pretensions"
"We hear about those as just went on..."
"We certainly don’t want to offend anyone"
"Good intentions are not enough"
"Let us therefore brace ourselves..."
"I will give to you...."
"A chaos of conflicting ideals"
"Have mercy upon us ...."
"Golly Moses, natcherly we're punks!"